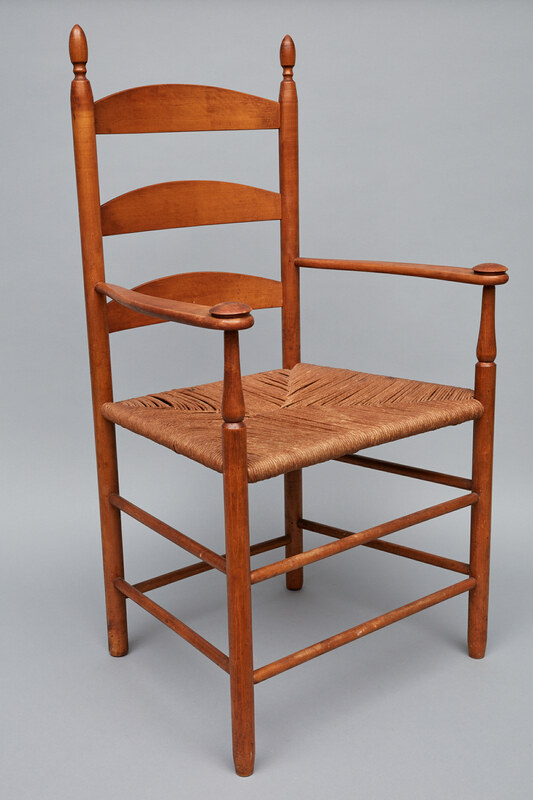 Arm chair attributed to Sister Lillian Barlow or Brother William Perkins, South Family, Mount Lebanon, NY. By the beginning of the 20th century, Sister Lillian ran the Mt. 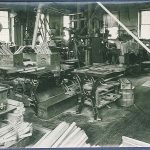 Lebanon Woodworking Co. alongside Brother William. 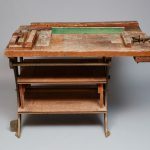 Clamping and Gluing Table, Second Family, Mount Lebanon, NY, ca. 1910. 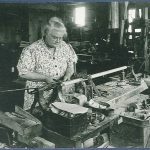 The Shaker chair workshop, Second Family, Mount Lebanon, NY, 1940. 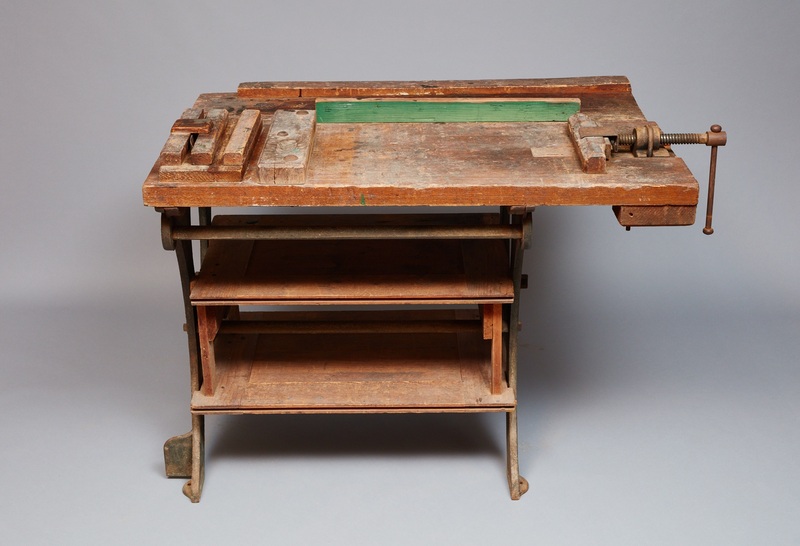 The clamping and gluing bench is in front. 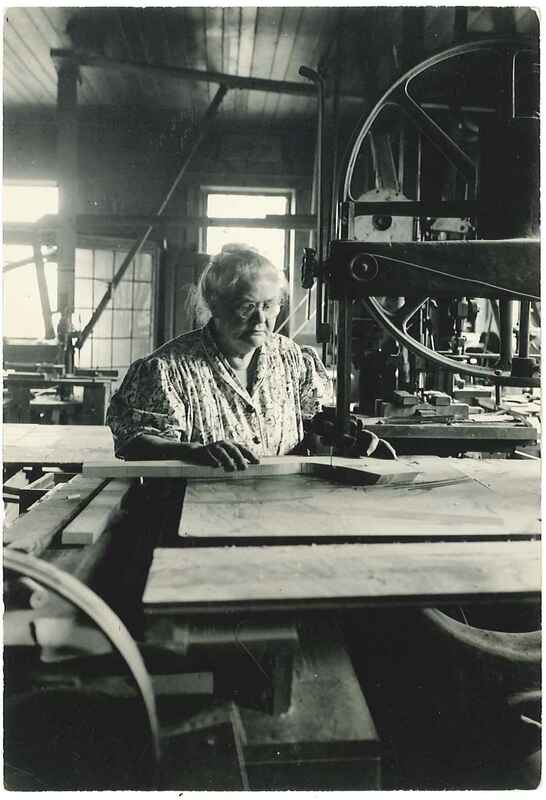 The Shaker chair workshop, Second Family, Mount Lebanon, NY, 1940. 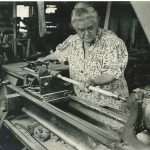 Sister Lillian places a back post in a lathe for it to be shaped. 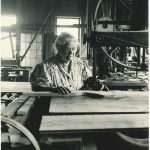 The Shaker chair workshop, Second Family, Mount Lebanon, NY, 1940. 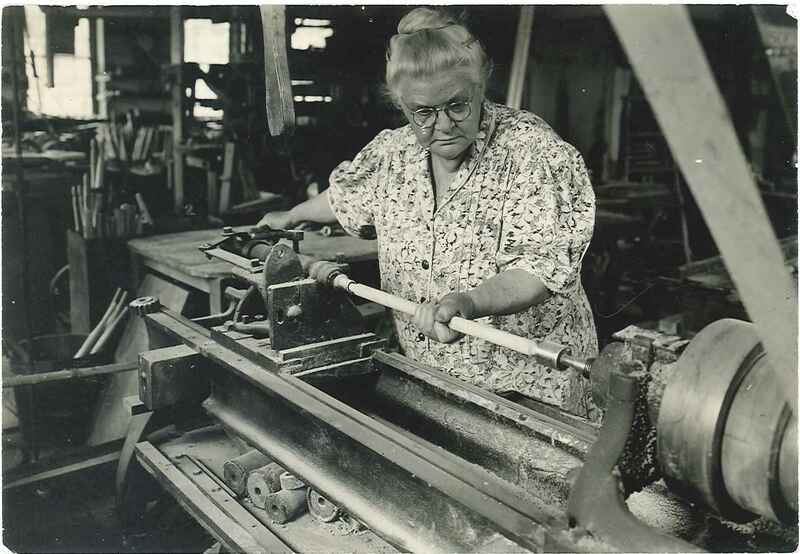 Sister Lillian shows how she used turning chisels to shape the finial at the top of the back post while it is in the lathe. 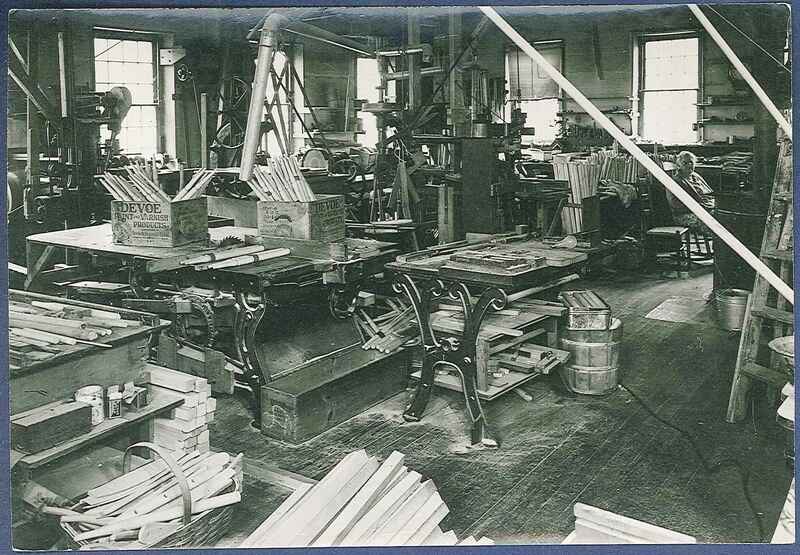 The Shaker chair workshop, Second Family, Mount Lebanon, NY, 1940. 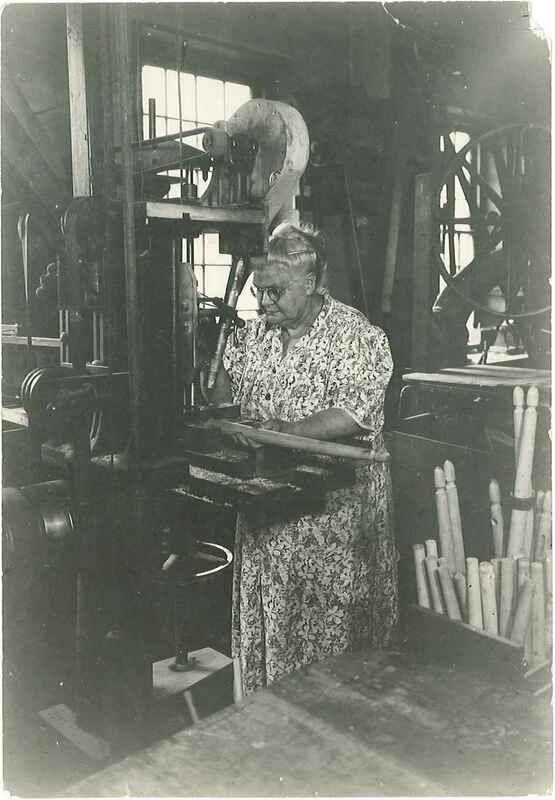 Sister Lillian is standing at a drill press to drill the holes in chair legs for the tenons of chair rungs. The Shaker chair workshop, Second Family, Mount Lebanon, NY, 1940. 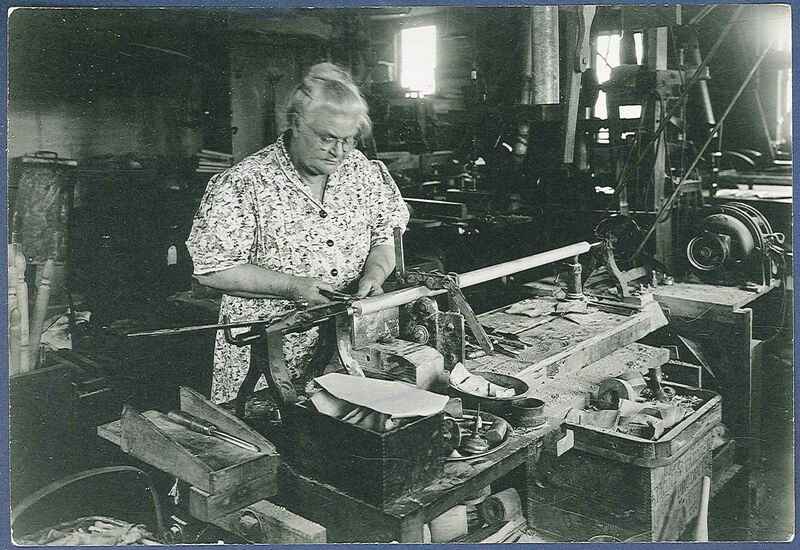 Sister Lillian is working at a bandsaw demonstrating how she cut pieces for arms and back slats prior to shaping them into their final form. 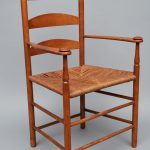 The South and Second Families at Mount Lebanon, NY, had been famous for their chairs, but as male workers and managers became less available and orders were on the decline, two women became largely responsible for supplying chairs to people who wanted them. 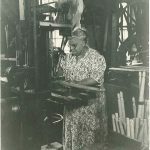 Sarah Collins continued to weave the webbed seats for chairs made in the chair shop by Sister Lillian Barlow and Brother William Perkins, and by Barlow alone after Perkins’s death.